Seven years ago, free-spirited Hadley’s heart was shattered when her secret high school love, Ryder Blake, betrayed her with just a few short words. Now, in her twenties and committed to Braden, her boyfriend of two years, she is unknowingly still picking up the pieces, and beginning to realize her life is far from the one she always dreamed of having. Ryder has had his fair share of women since high school, but none have compared to the girl who stole his heart and disappeared with it. When his life starts to fall into place Hadley’s sudden reappearance and disgust towards him fuels his drive to win her back and never let her run again…even if she has a boyfriend, and even if he has to handcuff her to his bed. What an awesome story! Hadley and Ryder are such a great couple together. I have not read the previous books in this series, but I had no trouble following along. This is a second chance romance novel, and I must say it’s one of my favorite ones! 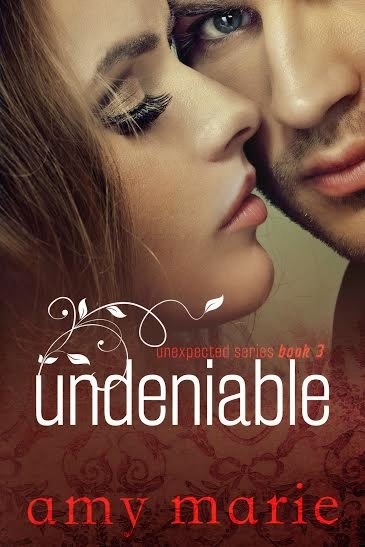 Amy Marie does a fantastic job at keeping the reader’s interest and throwing in some twists and turns along the way that you never saw coming! Definitely an author I will be on the lookout for in the future! 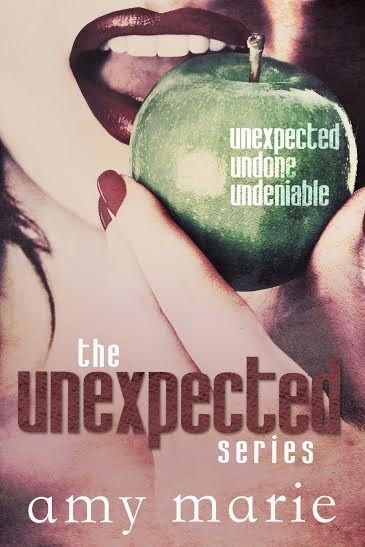 Haven’t read The Unexpected Series by Amy Marie?